Last January I shed my façade of perfection by publically revealing a secret that had tormented me for 3 years. My initial feelings of vulnerability dissolved when family, friends and strangers began to dignify, rather than stigmatize my 21 year old son's chronic opiate addiction. In retrospect, a much-needed support network was derived from the revelation which gave me the hope, insight and perspective to navigate and survive 2016. Shortly after my disclosure, an author introduced himself and encouraged me to continue to cultivate my voice and to speak fearlessly. His direction proved invaluable in the summer when, after months of sobriety, my son relapsed. My outlet to release the anguish became a blog that personified heroin titled "The Temptress". When Heidi, a mother in Florida, commented that she planned to share it with her addicted son it seemed that something worthwhile had been extracted from the angst. Ten days later I felt utter despair when I read her follow up message, "She took him". Heroin had stolen her 25 year old son, and with my son back in "her" clutches and living in his car, I felt the impact of her loss personally. Because I had recommitted to the "tough love" approach I was in contact with him but intentionally removed from how he was functioning with homelessness 500 miles away. Disassociation felt like being witness to ongoing torture and I began having had reoccurring nightmares about babies I had "forgotten". Being disengaged for the 6 weeks it took him to secure a bed in detox deepened both of our feelings of hopelessness. Although I was unable to define how to interact with my son, I knew tough love was not sustainable for me. I was anxious to participate when I learned about the "Fed-Up Rally" through the online community, The Addict's Mom. As I boarded a plane to Washington D.C. in September my Aunt texted a meme of my son, the snapshot captured him perfectly and I immediately decided to make a rally poster. 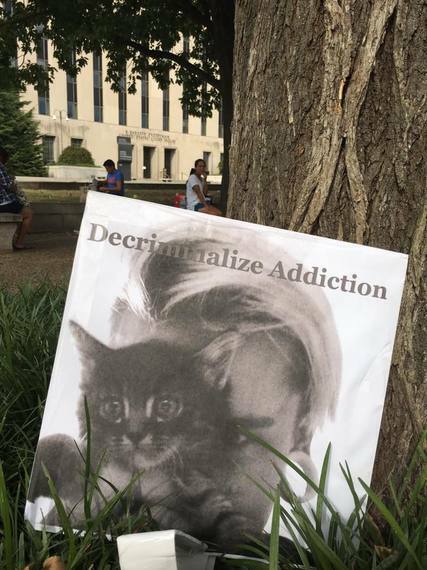 The enlarged photo made me feel inhibited until the Kinkos clerk helping me shared his feelings of powerlessness around his father's battle with addiction. At a pre-event at the National Press Club, I met bold and insightful speakers, as well as, broken hearted family members who refused to lose their loved ones quietly. Regardless of the origin of our passion, it was clear that we were unified in the desire to fight. It was standing room only when a medical expert detailed the history of big pharma and the epidemic. The greed he described was in juxtaposition to a humanistic focal point; a large screen showing an endless loop of pictures of those lost, a heartbreaking reminder of the volume of young victims. 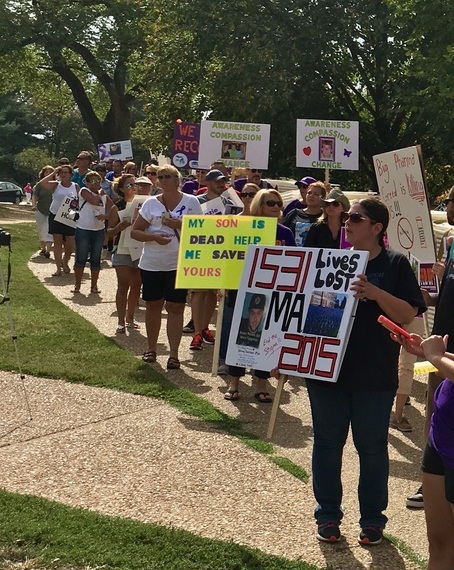 The following day, in the intense heat and humidity my formerly, virtual acquaintances from The Addict Mom, including Heidi and me, marched with thousands of others to the Capital chanting for Congress to release funding to address the issue. The interconnectivity of the epidemic was reinforced when I posted a news story about the rally. A distant relative commented that she personally knew a young man featured on a poster in the article, he was a friend who had passed away from addiction. My blog connected me to a legal expert who has devoted his life to considering addicts as people rather than criminals and in October he introduced me to the concept of "harm reduction". When I attended a conference on the topic I found a blue print for my future relationship with my son and felt strength and serenity that had escaped me for years. The path of advocacy offered an alternative to codependency or tough love, plus prepared me to respond to the potentially severe consequences when my son was charged with possession in the fall. My family encouraged me to attend his sentencing where I met a lawyer who relayed his experience with the drug court format. His conclusion, that chronically dependent opiate addicts do not fare well with the guidelines and become prisoners for only nonviolent offenses, gave me the insight to approach the state with an alternative. The judge granted a motion to transfer my son's probation back to our home state to obtain treatment after serving 60 days in jail. When his transfer was disputed by another judge, our family mourned and I worried that format of drug court was insufficient to keep my son alive. Subtle clues gave me a sense of impending doom because I knew they indicated my son's resolve was waning. Five days before Christmas he relapsed in the drug court program and immediately surrendered himself to jail. The clutter of his presents and our suitcases packed for a visit tormented me and I struggled to accept the standard reactions of, "He is lucky to be alive" and "Be thankful he is in prison". After updating my daughters I became indifferent about creating a new plan for celebrating. 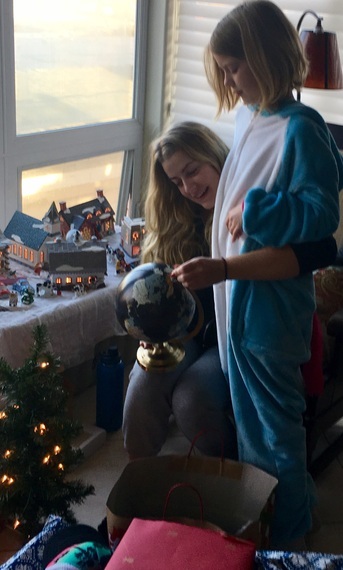 It was a Christmas blessing when my oldest daughter seamlessly stepped and infused happiness and hope with new plans. Observing her grit and poise at 20 years old was the gift that lifted my sadness. It gave me pause to realize that my network is in my own home. The unpredictability of addiction and the challenges of loving an addict are constant, but last year taught me that there is greater ease without secrets. This epidemic is hell on earth but when we hide we are truly debilitated. There is much to be learned from our collective experiences with so many of us weathering the battle. I am hopeful you will join me in considering 2017 as a year to leverage your voice, gain knowledge and find resources.